This sets the tone for the rest of the tale, which is itself cunning and subtle, a carefully woven and darkly humorous account of one woman, Bertha Truitt, and the strange and lasting legacy of her fascinating and too-short life. 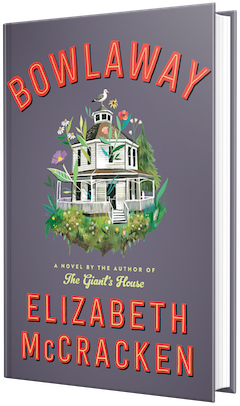 At the turn of the 20th century, in an imaginary New England town, Bertha Truitt arrives. She is not born--a woman like Bertha Truitt is, after all, too unusual to arrive in such a normal manner. No, she just arrives--fully formed and very much alive, on the cold cemetery ground, "as though she'd dropped from the sky." But it is also, as McCracken says in the pages of the novel, a genealogy. "Genealogy," she writes, "says that things happen in chronological order, but also all at once." And that's the genius of the structure of McCracken's novel: it is a genealogy, albeit a fictional one, that allows McCracken to slice through time, to weave a careful net of seemingly unrelated people who are inextricably tied to one another. That's what gives the novel the space to include so many disparate things (Phrenology! Dream walking! Bowling! Penpals! A wooden effigy! Spontaneous combustion! True love! False identities!) without feeling like a single thing, large or small, is out of place. They are each, as unrelated as they may seem, an integral part of the story of one family, starting with Bertha Truitt's appearance and descending through generations to a decrepit bowling alley that becomes the scene of a brutal murder. "They hadn’t realized that bowling was so full of suspense. A story: our hero (the ball) sets out on his journey (the approach), travels the length of his world until he runs into trouble, acquits himself well or badly, end of chapter. Turn the page!" Elizabeth McCracken is the author of two story collections (Thunderstruck and Here's Your Hat, What's Your Hurry?, being reissued in February 2019), a memoir (An Exact Replica of a Figment of My Imagination) and three novels (including National Book Award finalist The Giant's House, and Bowlaway, coming from Ecco in February 2019). 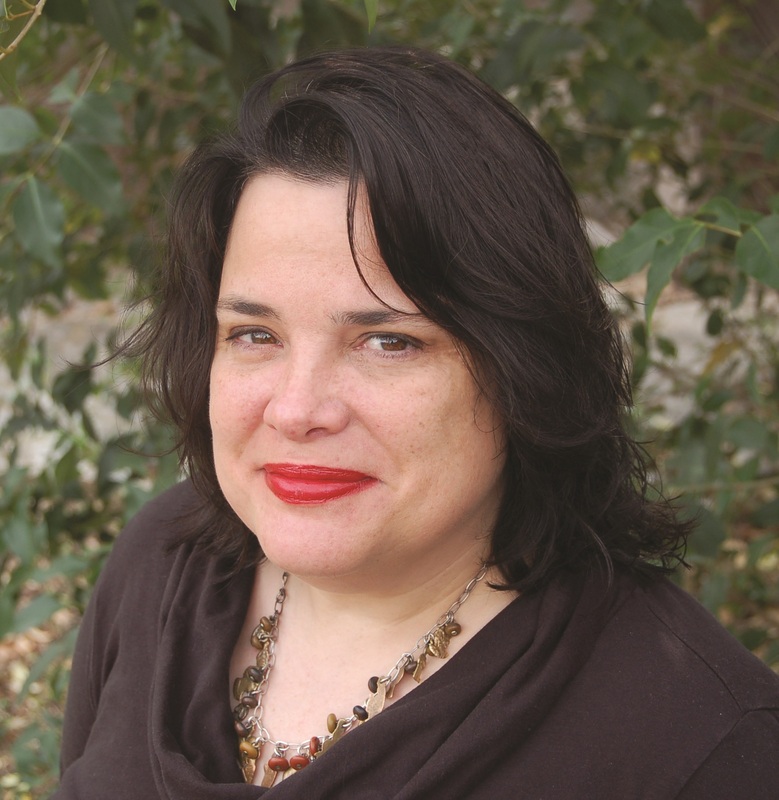 Originally from New England, McCracken now lives in Texas, where she teaches creative writing at University of Texas, Austin. So it changed significantly from draft to draft? It didn't change in feel. It didn't change in character. The drafting had to do more with looking at plot, and trying to figure out what was happening to the characters through the plot. I think that's always true for everything that I write. I try to get the material on the page, and then figure out why the characters are doing whatever it is they're doing. There were many moments in the novel that explored the different ways that grief can shape a life. Was that something you set out to write about intentionally? For whatever reason, it's one of those things I write about a ton. I don't know why it has always compelled me. I can't get away from it. Every time I start something, I think, "This is going to be a really cheerful book. Nobody dies, and it's all hijinks and parties." And it never works out that way. When I started writing this book, I thought this was going to be the cheerful book. No dead children, and happy families... and yeah, it didn't work out that way so much. "Cheerful" might not be the right word, but there were a lot of moments of humor in the story. It is important to me that my work is funny in some way. It's just the way I process things. I teach fiction writing, and I always say to my students that the way you think about or process information about life is also how you write. And I think it would be impossible for me, at the worst moments of my life, to not make jokes. Bowlaway is also very much a novel about womanhood, and what it means to be seen as a woman--or not allowed to be seen. It's something that's on the mind of the country, this question of what it has cost women to live in a world where they are not primary. Where women are pushed to the side. Where a woman who owned her own business at the turn of the century is the exception and not the norm. When I'm writing, when I'm working on fiction, I'm never consciously thinking, "Oh, I want to write more about women and being put in positions of power and what it means to be a woman." I just think about the characters. But there's all the stuff that goes on in the back of my brain--when I'm reading news articles, talking to friends--and it's impossible to keep that stuff out of my fiction. My writing always betrays what I'm thinking about in day-to-day life, even if I'm not being overly conscious of the fact that I'm doing that. You've written short stories, a memoir, novels. You also teach writing. Is your writing process the same, or different depending on form? Do you know what form you're setting out to write when you start? My writing process has changed a lot over the years, although it's always clear to me if I'm writing a short story or a novel. Part of that is that if I'm working on a novel, I will put most things into it. Again, something happens, and I think, "Yeah, UFOs! UFOs can fit into this novel. I can do that." And with short stories, it's somehow more event-based. I know something happens, and I think, "Oh, that would make a good short story." I have children, and having children changed my writing process more than anything else. I used to write for a few hours a day, but over a longer period of time. Now that I have children, I write whenever I have time. In that way it doesn't matter what it is I'm writing; it's true for novels and it's true for short stories. But it's changed a lot over time. Because I teach young people, I always say to them, there are stories you can write now, when you're in your early 20s, that you won't be able to write when you're in your 40s. The way you think about the world is different. I always say you should write the story you're interested in when you're interested in it. Because you have access to things that you will lose access to when you get older. It feels like the same could be said for readers.